Hey, everyone! As you might have already seen on my new video, Kingsland Equestrian has sent me some products to review and I can't tell you how thankful I am for this! 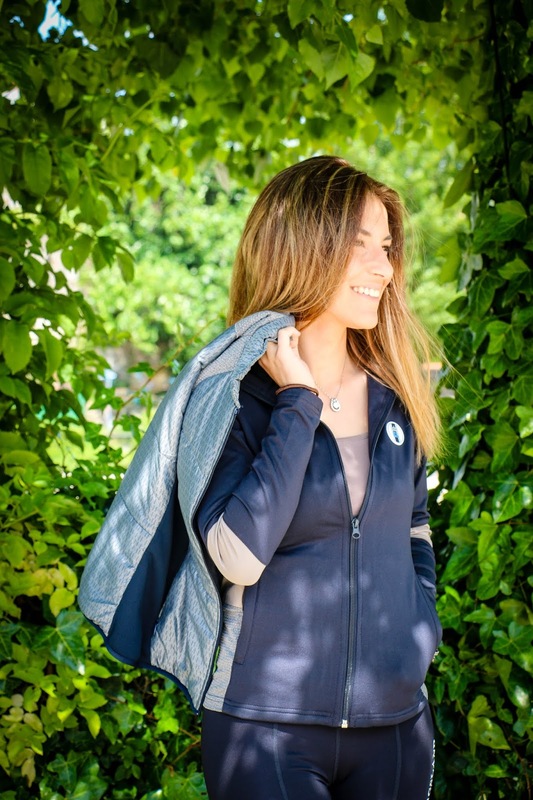 For those of you who have been following this blog since its beginning, I am sure you know that I am a big fan of this brand, not only because many of their clothes are blue (my favorite color) but also because they have always been able to combine the classic equestrian style with technology in their collections. Starting off by the vest, I must admit that I really needed a new one and this Vidalia Body Warmer couldn't be any better. First, I really like the two elastic panels on the sides, they make this vest super flattering and allow a total freedom of movements. I think its collar is absolutely stunning as it reminds me of show shirts and, besides that, its (very light) weight and the metal patch with the KL logo are big game changers to me. 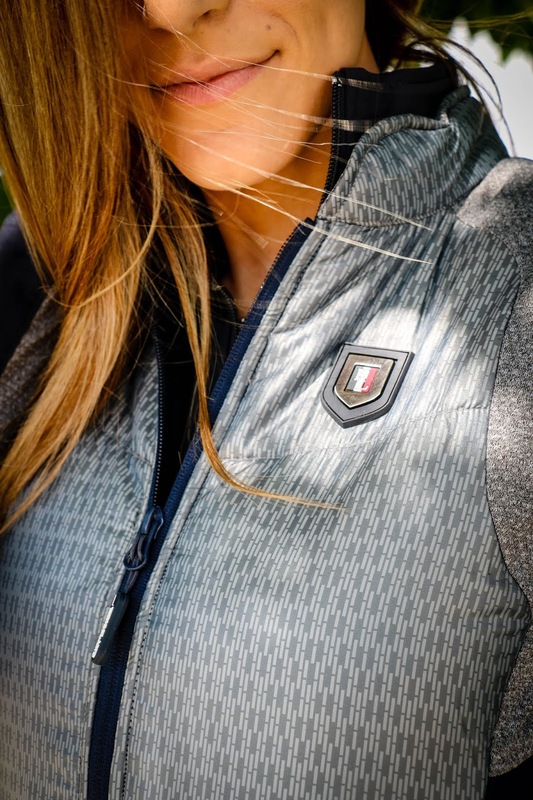 Speaking of essential, this jacket should be elected as the "everyday essential every rider needs" , not only because it is the softest and stretchiest fleece jacket EVER but also because of the fit. If you see the photo below, you will understand what I mean! Modesty aside, I love the silhouette it gives me! I adore its colors, beige and grey are such an unlikely combination but they made it work. Another thing I must refer is that the grey panels are actually mesh panels. Yesterday Gali was particularly stubborn, he really made me sweat but thankfully I could feel some fresh air inside the jacket! 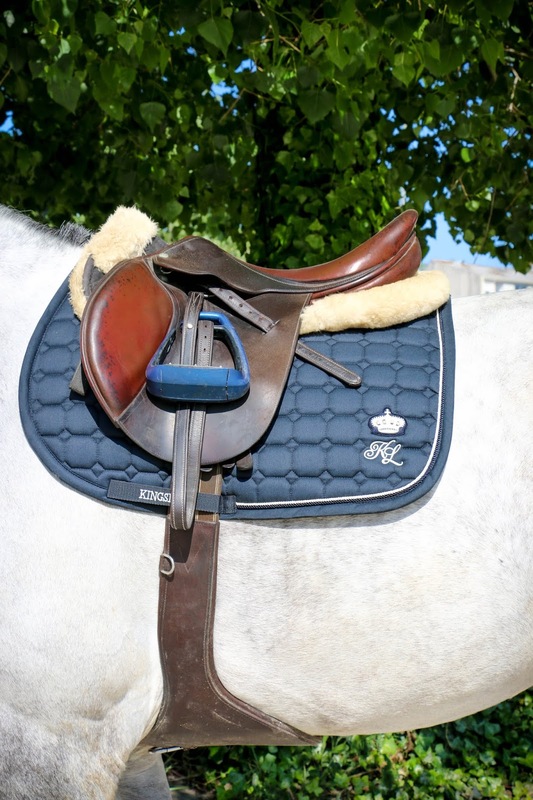 Regarding the Karina Compression Tights I don't know where I should begin, perhaps by saying that this product was the biggest surprise and that it made me change my opinion about riding tights/"pull on breeches" - or at least partly. There is nothing on Earth that will make me love these more than I love a good pair of breeches (aka my "Princess Breeches" that I just bought)! This is mainly because I think breeches are something that really sets us apart from other sports but also because most of the times I wear polos and I don't think they would look perfect together. However, like I said on my video, on a day where I just want to wear something comfortable, I will definitely take these to the barn: the reality is that they win in terms of comfort (and their back pocket is so useful, at least Gali thought it was, I put some of his treats there! 😂). Now the thing that amazed me the most was the full grip. As I compete in the jumpers, I never bought full seat breeches but after riding in these yesterday, I can't stop thinking of how helpful that extra grip was, I felt even more connected to Gali - is this possible or am I just imagining things?! Those riding tights are really cute! I prefer breeches over tights, too, but those look great. They do! And they are so comfortable - that's the best thing about them! !